When your commercial door breaks down, your working place and all goods stored in there are at stake. In such dreadful moments, you can depend on us to provide quick commercial garage door repair in Vancouver. No matter which door you own, you can rely on the skills of our techs and thus the high quality of our service. At Payless Garage Doors Vancouver, we service sectional and rolling commercial doors whether they are high speed, glass, steel, or insulated. There is a variety of commercial doors to meet everyone’s needs. With long experience in the special features of commercial garage doors and their services, our pros can do any repair job required. We replace all damaged, worn, and broken parts in no time since our techs always travel with fully equipped vans. Every garage door opener repair need is immediately covered since we have experience in hoist, jackshaft, and trolley operating systems irrespective of their motor and brand. Our techs make the necessary adjustments, lubricate the parts, and troubleshoot problems all in one go. We do any required commercial garage door springs repair whether your extension or torsion springs need lubrication, adjustment, or replacement. Trust that our company’s garage door repair technicians in Vancouver, British Columbia, have the expert knowledge, right training, and the proper qualifications required for each job. 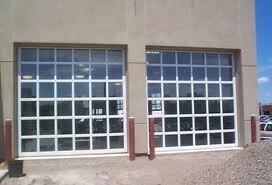 Commercial doors are very important to your day-to-day business. They are also vital to your safety. And they make a difference to the good protection of both your property and products. So, we respond urgently to help. Next time you are in need of commercial garage door service in Vancouver, turn to us. With our company supporting yours, peace of mind and functional doors are both guaranteed. 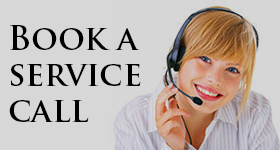 Never hesitate to contact us if you have questions, want to schedule maintenance, or need emergency repairs. We are only a phone call away and ready to cover your commercial garage door repair Vancouver needs.